On lightly floured surface, Roll out pizza crust. Place on baking sheet and par-bake for 5 minutes. Remove crust from oven, let cool 1 minute. Mix sauces together and spread over crust. 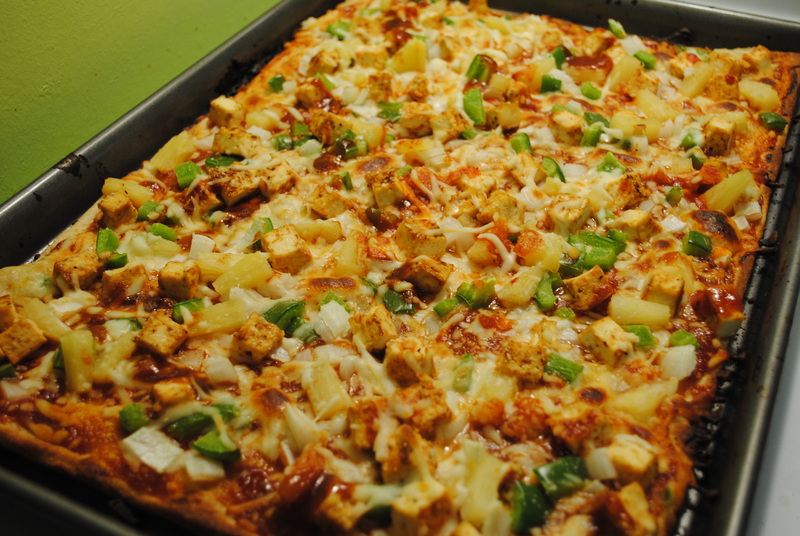 Sprinkle half of cheese over pizza, add chicken, pineapple, bacon, onion and pepper, top with rest of cheese. Bake 10 minutes or until crust is golden brown. *To make vegetarian, omit chicken and bacon, optionally substitute tofu.